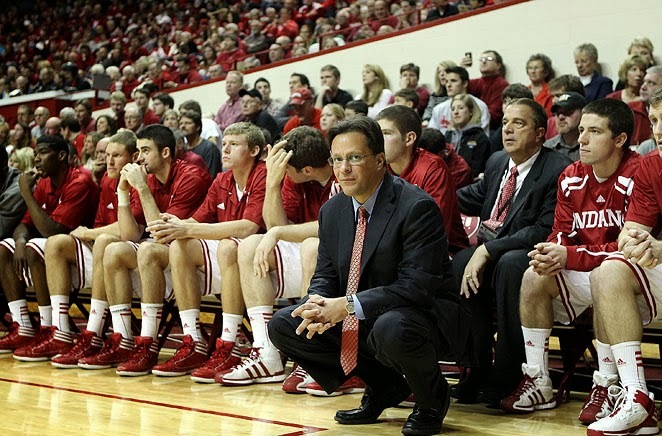 Tom Crean has so had it with Indiana's missed layups and 1-foot shots, he's broken out the practice pads and gone against his don't-foul nature. Will it make a difference? The first test comes Sunday against Illinois. The Hoosiers (12-7 overall, 2-4 in the Big Ten) lost to Northwestern and Michigan State in the last week, missing nearly 30 layups in the process. They went a combined 21-for-58 on layups and tip-ins. Yes, that gets you beat. So Crean has ramped up the practice intensity, having players try to make layups while teammates hammer them with pads. Layups come easy against non-conference opponents, but that ended like a fist to the jaw once Big Ten play started. Defenses concede nothing, and despite the rules changes designed to create more free-flowing offense, contact remains significant. “There's a lot of contact at the basket,” Crean said. “You have to keep your concentration high, your fundamentals high. You've got to use the backboard. And, for us, it's taking one more dribble. Driving in to the arena this morning I was listening to the radio and they were doing an interview with Troy Aikman on Peyton Manning. There were two things of importance that I took from that interview. Aikman said that the first Super Bowl that Manning participated in, he called several quarterbacks that previous Super Bowl experience and asked them for advice. 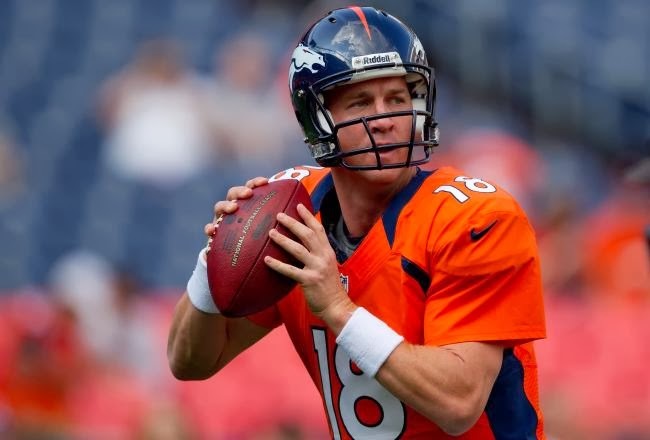 Manning's reputation for preparation is legendary this story just further proves the importance at leaving know stone unturned and gives more evidence as to what makes Manning great. As for the advice that Aikman gave Manning? He told him to make his hotel as much like home as possible because he felt the most important thing in big games was maintaining routine. "Keep things as normal as possible," Aikman said. The importance of routine? 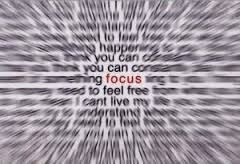 It allows you to focus on what you need to focus on. As Stephen Covey said, "The main thing is to keep the main thing the main thing." for that result, not just when drama is on the line. Clutch is about the last minute. 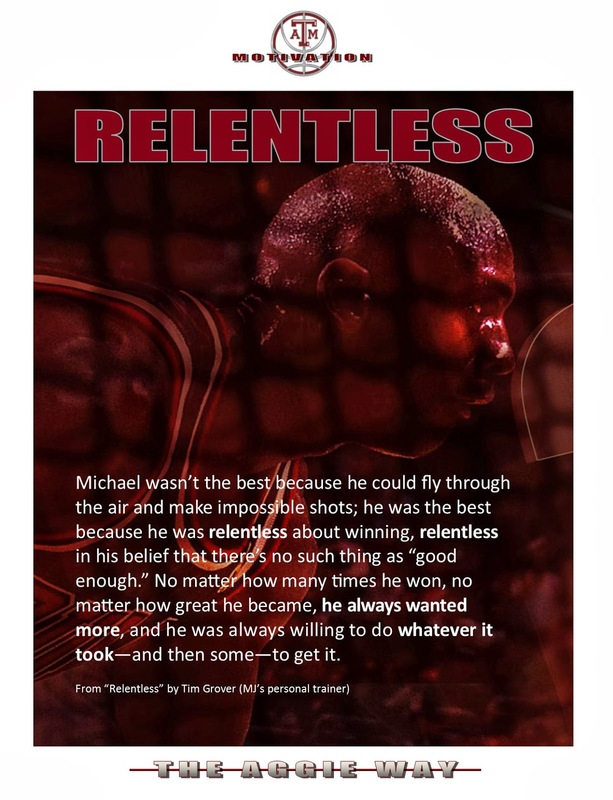 Relentless is about every minute." From "Relentless: From Good to Great to Unstoppable"
I've been fortunate enough to have been a part of the Southeastern Conference for a long time. The result? I've seen some outstanding players and some great coaches. In fact, some of the best players and coaches in the history of the sport. During that time I've become a big fan of Georgia's Andy Landers. 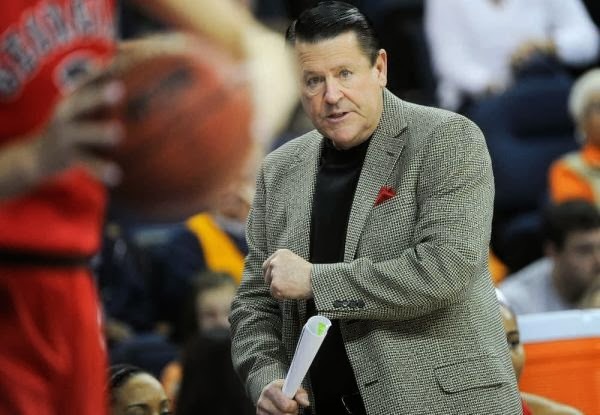 He's in the Women's Basketball Hall of Fame for good reason -- consistently outstanding basketball teams (11 SEC championships, five Final Fours and 20 Sweet 16 appearances). His teams are always well-coached and play extremely hard. This season, after another great start, they have begun SEC play with an 0-4 start -- the first time in Coach Lander's career. Now he could talk about a difficult SEC schedule he has had to play to start but that's now how he operates. I always watch carefully to see how coaches handle success and how they handle adversity. The great coaches know how to handle both. "Whether you're 16-0, 11-5 or whatever the case may be, there are always challenges," Landers said Tuesday. "If you're ranked No. 1 in the country, that's a challenge. So it's a different kind of challenge, but it's not all new. "Are we at a place that we haven't been before? Yes, from the standpoint only of being 0-4. Are we at a place that is unfamiliar? Yes and no. We're always in a position where there's something significant that has to be done." Landers said Tuesday he's trying to provide encouragement for his players, who acknowledge their frustration has grown with the losing streak. He said encouragement is different than comfort. "If we were 4-0, I wouldn't be comfortable and I wouldn't want them to be comfortable, so I'm certainly not trying to provide comfort at 0-4," he said. "As we always do, we've got a fight on our hands. "Support? Yeah. Encouragement? Yeah. But we're not in the middle of some kind of a funeral. Comfort isn't a part of it." I was having a conversation the other day with one of my past players and we were talking about the art of concentrating only on that which you can control. The skill of concentration and focus takes a great deal of energy and it should not be wasted on those things which we cannot effect. An athlete must understand a few basic things if he's going to improve his concentration skills. First, he should understand what is possible to control and what is not. It's possible to control one's thoughts, feelings and behavior. We can't control external events, other people's thoughts and deeds, and consequences beyond our behavior. 1. The athlete can tell himself what to do in positive terms. 2. The athlete can focus on the immediate, rather than past or future (The next task -- "the now" -- is all that can be acted upon. 3. The athlete can focus on his approach, instead of results -- past or future. These simply understandings should be reiterated regularly,, so they become a working philosophy for concentration. Athletes practice physical skills on a daily basis, but they usually just expect mental skills to develop themselves. They don't. The athlete must practice effectively to perform effectively -- physically and mentally. 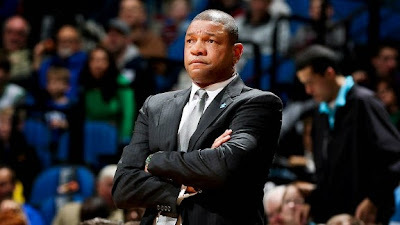 I took some time this morning to re-read over my notes from Coaching U Live in 2010 and thought I'd share some from Doc Rivers. Coach‟s ego: Is it about you or about the team? The little things matter. Doc said Celtics won a game against Cleveland on jump ball. Build your staff around the team that you want to have...the values that you want represented: loyalty, hard work and disciplined. Doc sets up staff like a football program: offensive coordinator, defensive coordinator. Important head coach question: Do you trust the people on your staff? Give staff room to do their strengths. You can't ask players to fill roles unless you let your staff fulfill their roles. Players must buy into your system -- Doc said this was incredibly important to the success of his teams. Create a theme/purpose for the season. Doc took Big 3 on parade route that they would ride for winning the championship. Creates direction and image. Ask players "Do you want to win? " Most say yes, but only if it‟s comfortable for them. Fight for your system/culture every day. Eliminate the S‟s in your program such selfishness, stubborn. 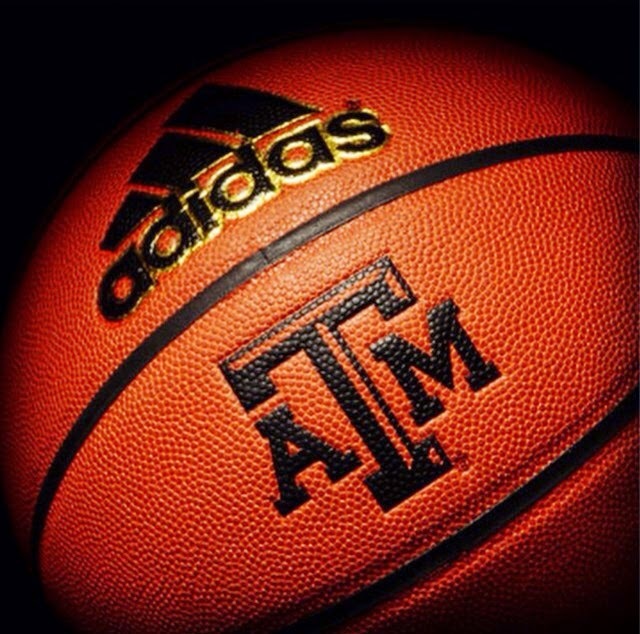 You cannot let a talented player affect your thinking. Doc talking to players after the draft: "You only have a number for one day. After that, it is all up to you"
If you steal something from someone, make it your own. I enjoyed an article written by Jeff Caplan for NBA.com on the journey and growth thus far for Austin Rivers. You can read the entire article here. Caplan than gets Rivers to talk about the journey and how it hasn't been easy and there have been plenty of lessons along the way. All young players can take note -- you just don't step out on the floor and excel -- there are lessons to be learned...must usually through experience. “Everybody has different paths and that’s something that took me a while to figure that out,” Rivers said. “At first [not playing] was just frustrating … [but] that doesn’t do anything because at the end of the day I’m here, and I’m glad I’m here because I think this is all going to make me better in the long run. I like where I’m at with my teammates and my coaches and I think four or five years down the road from now I’ll be able to look back and be like, ‘I remember that time when guys were asking me how did you feel about this and that,’ and now I’m here. I got a believe that if Austin truly understands that it is a process and that he does indeed trust the process (and all that goes with it -- especially coaching), then he is going to be an good pro player. I love you enough to worry where you were going after late practice3s, and with whom and how much sleep and study time I left you. I loved you enough to insist that you take personal responsibility for your actions instead of letting you make excuses. I love you enough to be silent and let teammates workout the differences between themselves and discover how much we really need each other. I love you enough to tell you what we needed from you to be successful and to be disappointed when you did not deliver. I loved you enough to pick you up and emotionally carry you when times were toughest and bring you back to reality when you thought that you were a little better than you were. I loved you enough to let you see anger, tears and disappointment in my eyes. Players must learn that coaches are human and not perfect. But, most of all, I loved you enough to do what needed to be done to build your character and the character of your teammates even though I knew that you would cruse me for it. Those were the most difficult battles of all. I am glad that we won them, because in the end those are the most cherished victories. The following is an excerpt from Mike McGraw of the Daily Herald. You can read it in it's entirety here. After the latest low-scoring Bulls win, coach Tom Thibodeau was asked whether he cares if these games aren't necessarily eye-catching. "You guys are into the aesthetics. 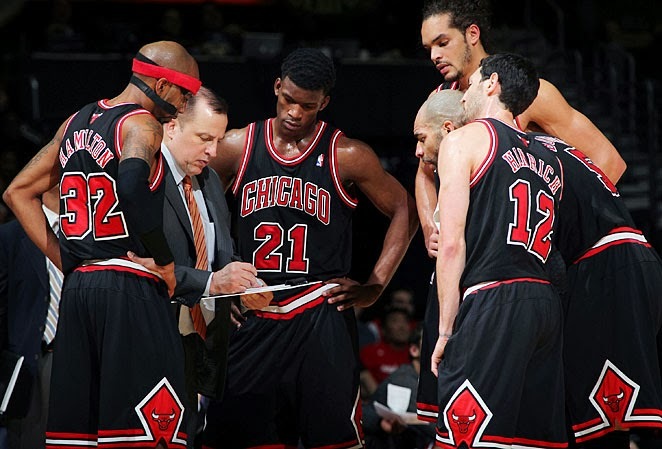 I'm into the wins," Thibodeau said. "You've got to win different ways." The Bulls have been stuck in the same routine for a few weeks now. Considering the injuries, absences and trade of top scorer Luol Deng, they should probably take that as a source of pride. With Friday's 81-72 victory at Milwaukee, the Bulls have won seven of their last nine games. The highest point total by an opponent during those 7 wins was 91 by Memphis. This was the fifth straight game the Bulls held the other team below 90 and their fourth straight victory. "We drill it every day. We have a system and stick to it," Mike Dunleavy said. "It doesn't matter who's playing. If you have a chance to go in the game, you follow those principles and we usually get pretty good results." BE A PRACTICE PLAYER FIRST! The point we want to drive home to our team is that you must first be champions on the practice court before you can compete for one on the court. You can't wait to be physical with your opponent in the paint in the final two minutes of a game if you didn't first pay the price in the weight room and in conditioning workouts. It's no different for a student. You cannot wait till the teacher passes out the quiz to decided you want ace it. You needed to "win" in your homework and study habits. 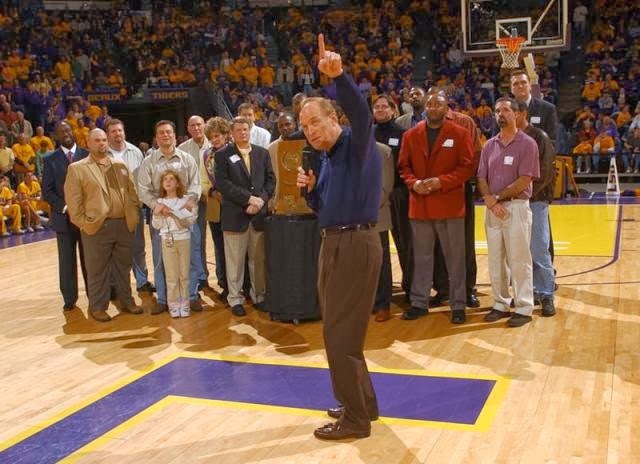 My favorite of all basketball/life quotations remains"
as the will to PREPARE to win." 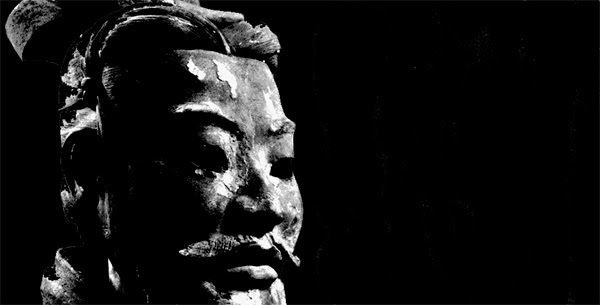 Victory is produced by and belongs to all. Likewise, failure belongs to everyone. If you or a member of your team "drops the ball," everyone has ownership. 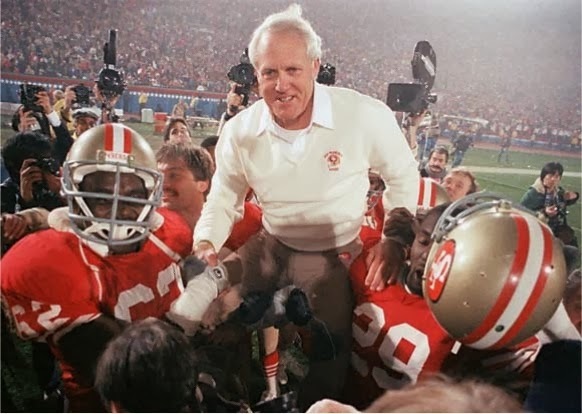 This is an essential lesson I taught the San Francisco organization: The offensive team is not country unto itself, nor is the defensive team or the special teams, staff, coaches, or anyone in the organization separate from the fate of the organization. We are united and fight as one; we win or lose as one. Leaders sometimes wonder why they or their organization fail to achieve success, never seem to reach their potential. It's often because they don't understand or can't instill the concept of what a team is all about at its best: connection and extension. This is a fundamental ingredient of ongoing organizational achievement. Combat soldiers talk about whom they will did for. Who is it? It's those guys right next to them in the trench, not the fight song, the flag or some general back at the Pentagon, but those guys who sacrifice and bleed right next to them. "Couldn't let my buddies down," is what all soldiers say. Somebody they had never seen before they joined the army or marines become someone they would die for. That's the ultimate connection and extension. 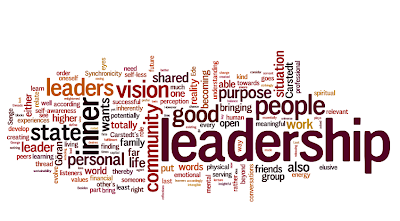 The leader's job is facilitate a battlefield-like sense of camaraderie among his or her personnel, an environment for people to find a way to bond together, to care about one another and the work they do, to feel the connection and extension for great results. Ultimately, it's the strongest bond of all, even stronger than money. 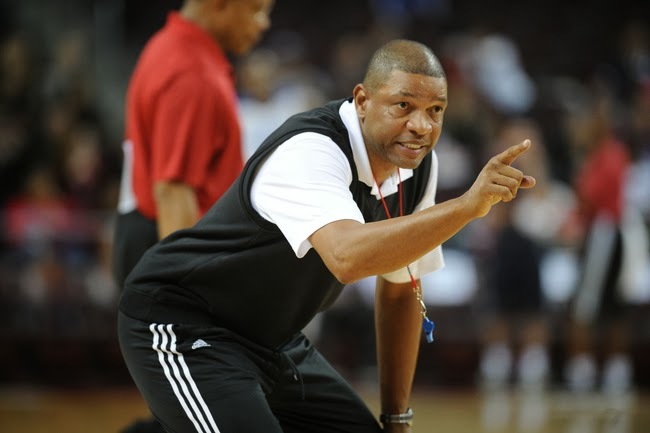 Doc Rivers had a simple message for the Clippers on their day off. Something along the lines of the adage of if you pay no heed to history, you’re doomed to repeat it. So he made his team watch their performance in the 107-88 loss to Phoenix. Twice. It wasn’t the entire game, it was the Rivers special cuts edition. “You’re watching your team play and clearly we had a ton of slippage, maybe from not enough practicing with all these days (of games) that we’ve had,” Rivers said. “You could clearly see it, they could see it. So as the Clippers prepared to face another defensive challenge from Charlotte on Wednesday at Staples Center, Rivers just wanted to extend a few reminders. Rivers is more of a believer in rest than in repeated practices, but he admits searching for the right combination is an elusive pursuit. So he’s not necessarily going to add more practices. “No, we’re going to do the same stuff,” he said. “It’s always a balancing act. If someone has a formula, can you please tell me? Because I don’t know it. I don’t think anyone knows it. A special thanks to Jennifer Hogan who tweeted the link to a blog post by Krissy Venosdale. The blog is titled Venspired. 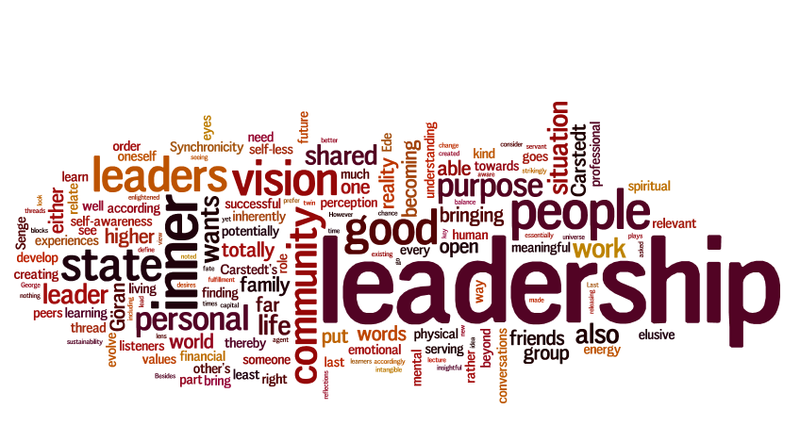 This post is outstanding -- "The 5 Most Important Things A Leader Ever Said To Me." You can read it in it's entirety here. 1.) Your character is not defined by others’ opinions. Everyone knows this, right? But when you think outside the box, your ideas often come under fire, especially from colleagues. It’s something people don’t like to talk about. But, it happens. I’m grateful to the leader who repeated this to me, not in a crowded staff meeting, but when I needed to hear it most. 2.) Can you help with this? Leadership is not about yourself. If that’s what it is to you, then maybe you’re in the wrong business. It’s about collaboration. Working together toward a common goal. You cannot carry out a vision on your own. You need every person you work with to join in. Asking for help isn’t a sign of a weak leader, it’s a sign of one who is building a strong team. Sure, most days you’re fine. But on the days you aren’t? It’s the leader who notices, asks what they can do to help, and walks along side you that shows you the true value in great leadership. We all stumble. We all fall. To the leaders who take the time to notice, support, and guide, I’m grateful for the way they have changed me. 4.) What can you do today to be better tomorrow? It’s always about being better. My inner-perfectionist screams this, but the reality is, there is always something we can do, right now, to improve. Even one small thing. A great leader will make you want to find that. Not because they told you to, but because they are so busy trying to be better themselves, and support you at being better, that you feel inspired, just by being there. 5.) Thank you for making a difference. It’s easy to get caught up in the day to day. We all do. Life has a way of drawing us in, moving faster than an 80 mph treadmill shooting sparks out the side. A note in our mailbox, a simple conversation at the copier, stopping by to see what our kids are learning or take interest in a special project that the kids have done? Those are all ways of saying “Thank you for making a difference.” It’s not something that can be said too often, but it is something that needs to be authentic, from the heart, and meaningful. On our last road trip, I took the opportunity to re-read one of my favorite books, "The Junction Boys" by Jim Dent. It's a very well-written account of how Coach Bear Bryant took over a struggling Texas A&M football program and transformed them into champions. "If you believe in yourself and have dedication and pride -- and never quit -- you'll be a winner. The price of victory is high, but so are the rewards." "In a crisis, don't hide behind anything or anybody. They're going to find you anyway." "In life, you'll have your back up against the wall many times. You might as well get used to it." "You never know how a horse will pull until you hook him to a heavy load." "Sacrifice. Work. Self-discipline. I teach these things and my boys don't forget them when they leave." "I can reach a kid who doesn't have any ability as long as he doesn't know it." "I don't care how much talent a team has -- if the boys don't think tough, practice tough, and live tough, how they play tough on Saturday." "The first time you quit, it's hard. The second time, it gets easier. The third time, you don't even have to think about it." "When you win, there's glory enough for everybody. When you lose, there's glory for none." "Winning isn't imperative, but getting tougher in the fourth quarter is." "You have to be willing to outcondition your opponents." "Football changes and so do people." "When you make a mistake, admit it; learn from it and don't repeat it." "When we have a good team, I know it's because we have boys that come from good mamas and papas." "One man doesn't make a team. It takes eleven." "If anything goes bad, I did it. If anything goes semigood, we did it. If anything goes real good, you did it. That's all it takes to get people to win football games." 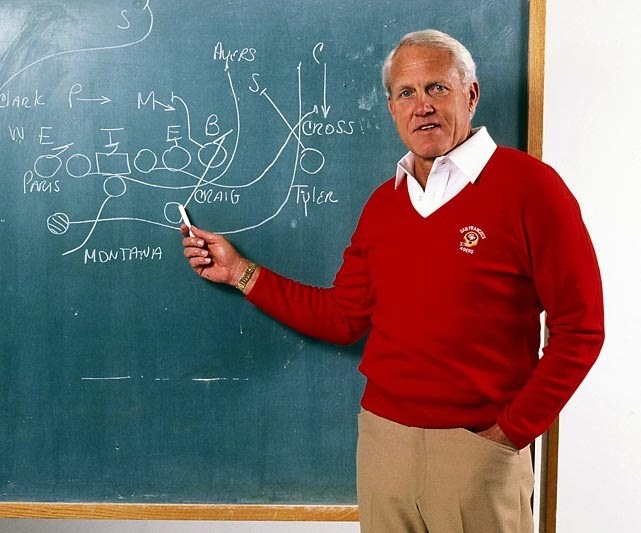 "No coach has ever won a game by what he knows; it's what his players know that counts." There's been a lot of commentary in the wake of Southern University's 116-122 route vs. Champion Baptist College. Clarence Gaines tweeted a post from Coach Ray Lokar's blog, Basketball For All Roundtable which is a great read that covers a lot areas for us coaches. The title of Coach Lokar's post here is: Blow-Out Etiquette. Here are some great points and guidelines. Coaches should try to schedule games against teams that will present somewhat of a challenge. While padding the schedule with wins may seem attractive, playing teams of inferior talent will actually hinder a teams development. 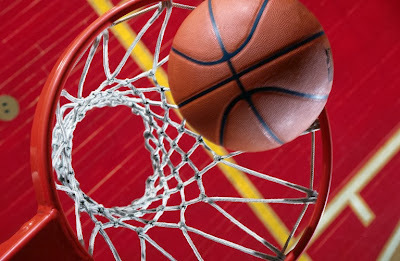 However, many times in preseason tournaments obvious mismatches between two teams occur or a league may be set up where you have to play someone far inferior. The tough thing for coaches in this situation is figuring out a way for their team to get everything out of the game that they can, without humiliating the opponent. When playing against teams or players who are not quite as talented, it is still important to play at YOUR best. Do not drop your level of play simply to defeat the opponent. Compete against your own personal best every time out, and try to achieve that. To do that AND respect your opponent, there may be some additional strategies that you employ. 2nd half (or at least the 4th quarter) Adjust your strategy to practice specific situations that you may face somewhere down the line. *The key point is to EXPLAIN this to the players so that they realize that they ARE NOT letting up but actually working on strategies that will make them better. ~Play everyone and mix up your lineup. Insert a few subs with a couple of starters. The starters work hard and still deserve to get some time. This mixes it up. ~Don't press full court. I don't care if you are a pressing team and you "need to work on it". What kind of work are you really getting against that type of inferior competition? OBJECTIVE: Pressing bad competition causes players to take gambles that may not work against better teams. And those are the teams that you are supposed to be preparing to beat. OBJECTIVE: That will help you run out the last possession of a game when you have a one point lead. Or better yet when it's tied with 35 seconds to go and you want to take the last shot. And then demand only inside shots. THAT will help you get better. OBJECTIVE: Play as if you need to stop some big post player or a team that can't shoot outside, on at least a crucial possession. 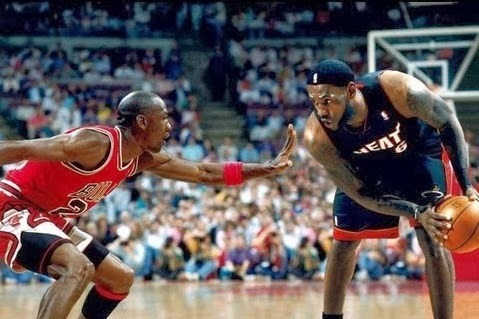 ~Don't deny passes and get steals in the half court. Force THEM to take time off of the clock. OBJECTIVE: Play as if you were playing a team much quicker than you that might be able to beat you on some backdoor plays. 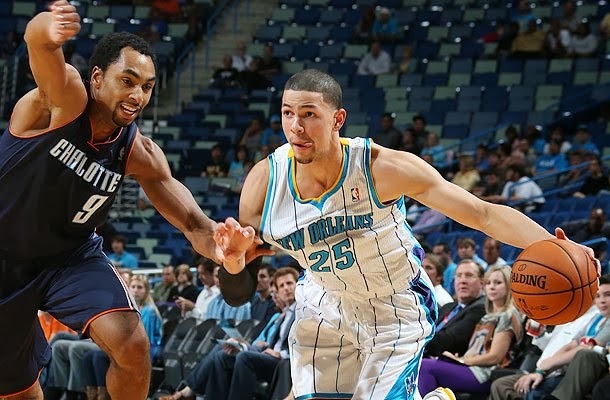 Against those teams the deeper you get in the shot clock-the bigger advantage the defense has. ~Block out and rebound - then WALK IT UP!